Since I've been traveling and working the past 8 months, it's been a hot second since I've shared a new senior session on the blog -- but I'm so excited to be back in the swing of things! Kylie is a senior at West Lafayette High School and is on the basketball team. Not only is she stunning, but Kylie is also a total sweetheart and was so much fun to hang out with! 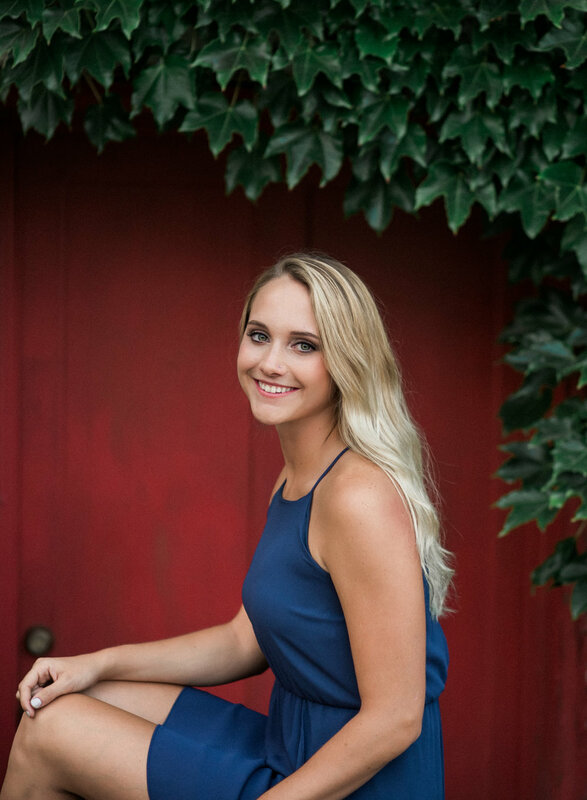 I spent the summer living and interning in downtown Indianapolis, so I was really pumped when Kylie was willing to make the drive from Lafayette for her session. There's so many awesome photo spots in Indy, and shooting there totally refueled my creative soul! Fun Fact: all locations that we shot at were within a 5 minute walking radius of my apartment! Ever since falling in love with photography in junior high, I've always loved challenging myself to make use of whatever locations were around me. When you find a fountain, a vine covered church, a wooden wall, and a skyline view all in one spot, it's so easy for a two hour shoot to fly by, which is exactly what happened during Kylie's shoot! 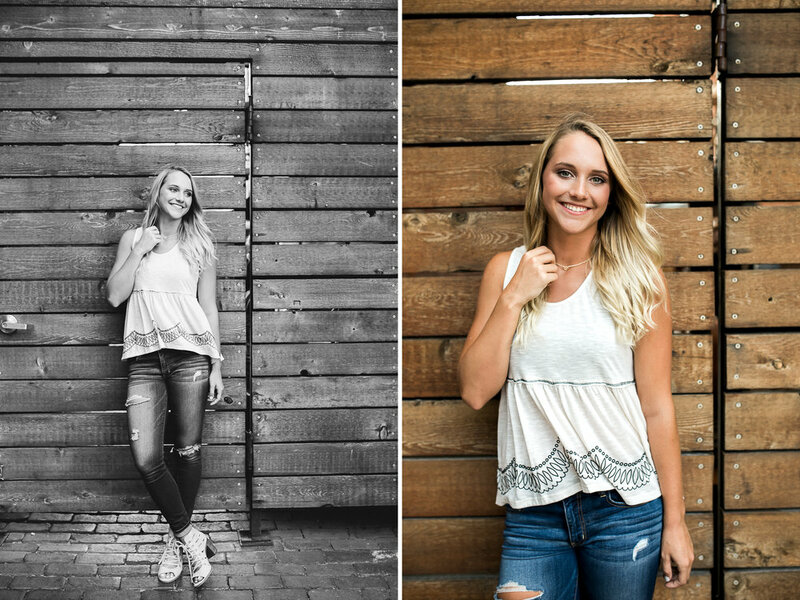 Keep scrolling to see all of the different backgrounds that we were able to fit in during Kylie's downtown Indianapolis senior session!